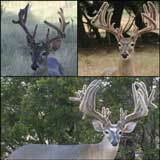 Would you like to introduce a variety of great genetics into your deer herd? 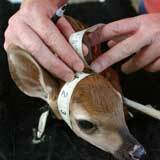 Through our "Lease-a-Buck" program, you can do it the easy way - with natural, live-breeding! 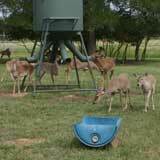 When we started our deer breeding operation years ago, we actually leased different bucks for the first three years of operation. 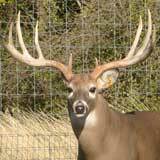 This allowed us to selectively bring in genetic traits which we desired - large body mass and antlers with width, mass, and long tines. 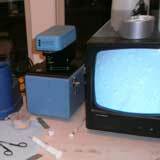 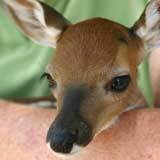 Live-breeding is as easy as it gets...and you are virtually guaranteed that your doe will be bred the first time she cycles. 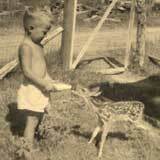 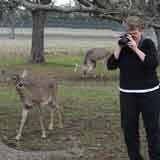 Bucks are leased based on the number of does they are to breed - six doe minimum and fifteen doe maximum per buck. 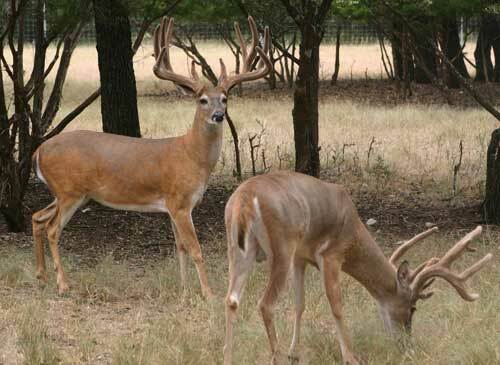 The cost per doe for stud services ranges from $500 to $1,500 depending on the buck selected. 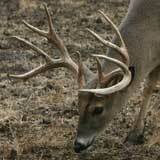 The buck is delivered to your pens after he has lost his velvet - typically in September. 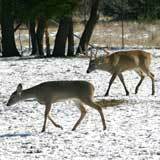 He will remain at your ranch until after he has shed his antlers - typically late February or early March. 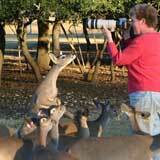 The buck must go into a pen from which he can easily be removed. 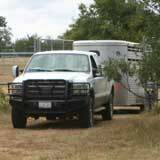 We carry the risk on the buck during the time he is at your ranch. 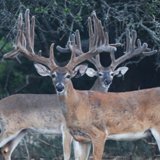 Our expectation is that the buck be well-feed and cared for during the time he is away from home...so that he returns to us in the same great shape he was in when he arrived at your ranch. 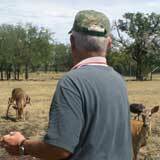 As a bonus, if you wish, you get to keep the antlers the buck drops while residing at your ranch. 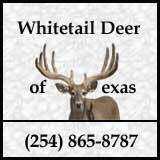 Whitetail Deer of Texas is enrolled in the CWD monitoring program through the Texas Animal Health Commission. 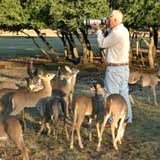 As such, we are only able to lease bucks to ranches which have a CWD status which is equal to or greater than our status. 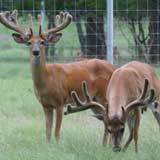 If you are interested in leasing a buck for next fall's breeding season, please contact us at your earliest convenience to reserve the buck or bucks which you wish to use in your pens for good old natural breeding. 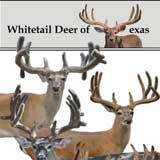 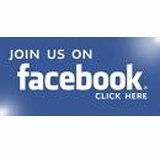 You will love the new genetics which you are able to introduce into your herd!